A unified power-flow controller (UPFC) can enforce unnatural power flows in a transmission grid, to maximize the power flow while maintaining stability. Theoretically, active and reactive power flow can be controlled without overshoot or cross coupling. This paper develops direct power control, based on instantaneous power theory, to apply the full potential of the power converter. Simulation and experimental results of a full three-phase model with nonideal transformers, series multilevel converter, and load confirm minimal control delay, no overshoot nor cross coupling. A comparison with other controllers demonstrates better response under balanced and unbalanced conditions. Direct power control is a valuable control technique for a UPFC, and the presented controller can be used with any topology of voltage-source converters. In this paper, the direct power control is demonstrated in detail for a third-level neutral point clamped converter. Fig. 1. One-wire schematic of the transmission line with UPFC. Fig. 2. UPFC series converter controlling power flow under balanced conditions, 2.5-s view during stepwise changes of active and reactive power flow reference Pref , Qref. (a) Simulation ( P 948 Wpu, Q 948 VArpu) ( ia,ib ,ic 2.38 Apu). (b) Experimental (CH1: P 40 W/V, CH2: Q 40 VAr/V, 5 V/div) (CH3, CH4: ia,ib 0.22 A/V, 5 V/div). (c) Simulation ( P 948 Wpu, Q 948 VArpu) ( ia, ib,ic 2.38 Apu). (d) Experimental (CH1:P 40W/V, CH2: Q 40 VAr/V, 5 V/div) (CH3,CH4: ia,ib 0.22 A/V, 5 V/div). Fig. 3. 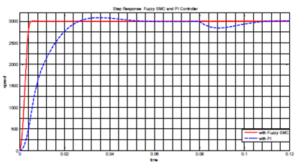 UPFC series converter controlling the power flow under balanced conditions, 250-ms view during stepwise change of active and reactive power flow reference Pref, Qref. (a) Simulation ( P 948Wpu, Q 948 VArpu) ( USa,USb ,USc 230 Vpu) ( ia, ib, ic2.38 Apu). (b) Experimental, (CH1: P 40 W/V, CH2: Q 40 VAr/V, 5 V/div)(CH3,CH4:ia , ib 0.22 A/V, 5 V/div). (c) Simulation ( P 948Wpu, Q 948 VArpu) (USa ,USb ,USc 230 Vpu) ( ia,ib ,ic 2.38 Apu). (d) Experimental, (CH1: P 40 W/V, CH2: Q 40 VAr/V, 5 V/div) (CH3,CH4: ia,ib 0.22 A/V, 5 V/div). F ig. 4. UPFC series converter controlling power flow, comparison between controllers DPC (-) ADC(- -)  DIC (-.) . 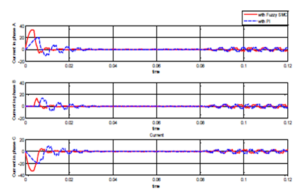 (a) Simulation under balanced conditions, simultaneous step in active and reactive power references Pref, ,Qref 250-ms view ( P 948Wpu, Q 948 VArpu). (b) Simulation under balanced conditions, simultaneous step in active and reactive power references Pref, ,Qref, 6 ms view ( P 948 Wpu, Q 948 VArpu). (c) Simulation under unbalanced conditions, 70% single-phase voltage sag at 0.125 s, 250-ms overview (P 948 Wpu, Q 948 VArpu) ( USa, USb, USc 230 Vpu). The DPC technique was applied to a UPFC to control the power flow on a transmission line. The technique has been described in detail and applied to a three-level NPC converter. The main benefits of the control technique are fast dynamic control behavior with no cross coupling or overshoot, with a simple controller, independent of nodal voltage changes. The realization was demonstrated by simulation and experimental results on a scaled model of a transmission line. The controller was compared to two other controllers under balanced and unbalanced conditions, and demonstrated better performance, with shorter settling times, no overshoot, and indifference to voltage unbalance. We conclude that direct power control is an effective method that can be used with UPFC. It is readily adaptable to other converter types than the three-level converter demonstrated in this paper. L. Gyugyi, “Unified power-flow control concept for flexible ac transmission systems,” Proc. Inst. Elect. Eng., Gen., Transm. Distrib., vol. 139, no. 4, pp. 323–331, Jul. 1992. L. Gyugyi, C. Schauder, S.Williams, T. Rietman, D. Torgerson, and A. Edris, “The unified power flow controller: A new approach to power transmission control,” IEEE Trans. Power Del., vol. 10, no. 2, pp. 1085–1097, Apr. 1995. X. Lombard and P. Therond, “Control of unified power flow controller: Comparison of methods on the basis of a detailed numerical model,” IEEE Trans. Power Syst., vol. 12, no. 2, pp. 824–830, May 1997. H. Wang, M. Jazaeri, and Y. Cao, “Operating modes and control interaction analysis of unified power flow controllers,” Proc. Inst. Elect. Eng., Gen., Transm. Distrib., vol. 152, no. 2, pp. 264–270, Mar. 2005. H. Fujita, H. Akagi, and Y. Watanabe, “Dynamic control and performance of a unified power flow controller for stabilizing an ac transmission system,” IEEE Trans. Power Electron., vol. 21, no. 4, pp. 1013–1020, Jul. 2006.